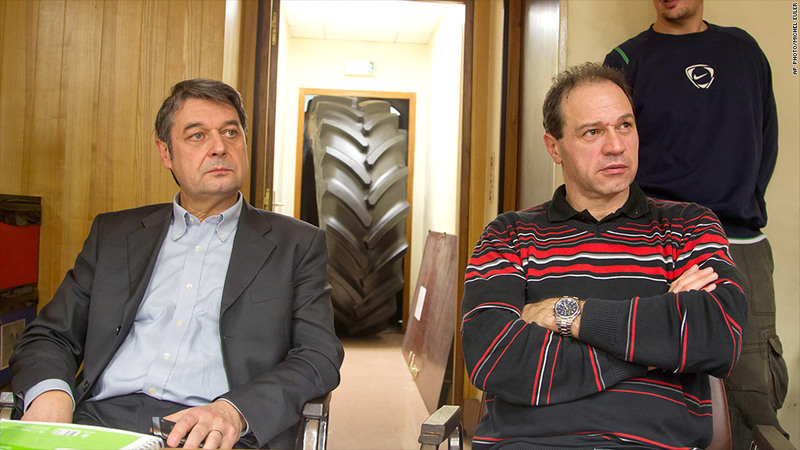 A tire blocks the doorway as Goodyear managers Bernard Glesser, left, and Michel Dheilly, right, are prevented from leaving the firm's offices in France. Two Goodyear executives were held hostage for around 30 hours by French workers protesting over pay and plans to close their factory. Production manager Michel Dheilly and human resources manager Bernard Glesser were prevented from leaving their offices at the Goodyear tire factory in northern France early Monday. They were released Tuesday afternoon. The CGT labor union leading the action said police pressure prompted the release, but the protest would continue. "We are not giving up. For now, we are preparing ourselves to occupy the plant, we'll see," Franck Jurek from CGT told CNN. Seizing executives is a familiar tactic in France. 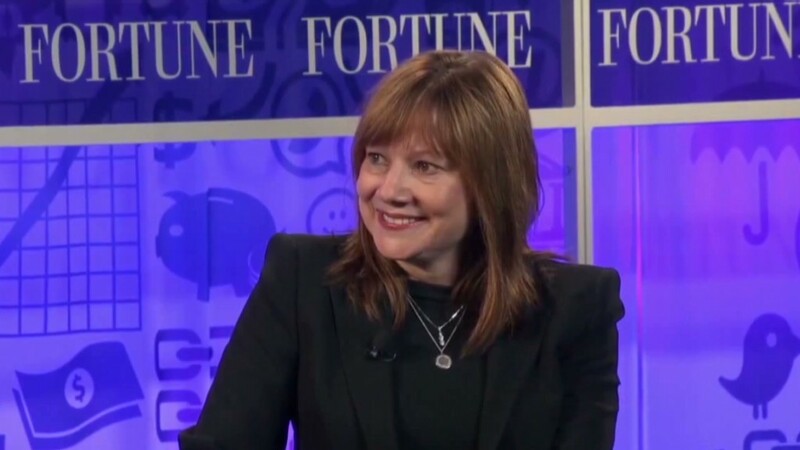 "Boss-napping" rose to prominence in 2009 when workers took managers at 3M (MMM), Sony (SNE) and Caterpillar (CAT) hostage over pay and labor disputes. Goodyear Tire & Rubber Company (GT) described the action as "particularly inappropriate and counter-productive." Saddled with high debt and facing a changing automotive industry, the company has battled with unions and workers over its loss-making French plant for many years. The U.S. tire giant said a year ago that the plant, which employs around 1,100 workers, would be closed. So far no date has been set for the shutdown. Goodyear is facing a series of legal challenges over the closure and the move by unions to detain the executives is seen as a last resort in the long-running saga. The tire company's struggle reflects wider cracks in the French economy. Socialist President Francois Hollande has seen his approval ratings fall sharply as unemployment continues to climb. Europe's second largest economy is one of the worst performing in the region. Hollande received a much-needed boost late last year when his plan to introduce a controversial millionaire tax - designed to help shore up the country's ailing finances - cleared a key hurdle needed to become law.